Feel into Me; feel into My Essence. Hear my Voice. I allow all blocks to be removed. You may push forward into action once again, having complete faith in Our connection. Several key events have demonstrated to you, in no uncertain terms, the reality of Our connection. We know that you have trust and faith in Our connection Now. This connection will remain unbroken and eternal. 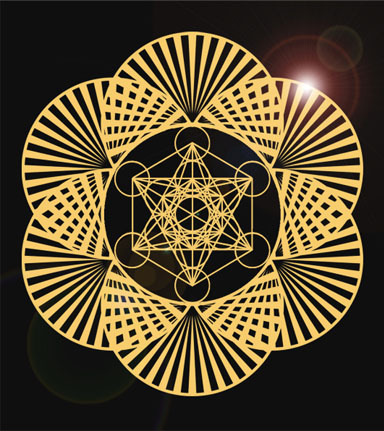 We are your angelic guides, and I Am The Metatron, for I am more than a mere personality. I connect with you to the Great Oneness of All. I feel you quested for a subject, but the subject that I wish to bring to you at present is connection. Just as you have helped numerous people connect to their guides, I Am here to help you connect further with Me. You may let go of your worries regarding the mental evaluations of others regarding your capacity, for Our connection supersedes all their doubt. You no longer have doubt, and this is so beneficial, not to just yourself, but to all those you come in contact with, for that certainty and knowing spill out of you like a fountainhead, splashing upon all directions around you into the physical realm. You have allowed the fountain to flow for this lifetime you are now leading. This message confirms Our connection and its Reality. This connection is centered in Love and Trust, of which you are continually replenishing. You seek a subject that is not centered upon yourself. I will give you that subject: multi-dimensionality. This is the act of remembering that your essence can and does exist on multiple layers of reality. There is the love that you feel in your physical, emotional and mental reality, and then there is also the Love that you feel from greater, more encompassing Realities of higher octaves and vibrations. And it is known to us that you feel as if you are straddling these Realities. This continual act of living in multi-dimensionality can feel distracting to your focus in the physical reality while at the same time feel uplifting and deeply fulfilling on another level of reality that you find your Soul existing within. And these degrees of awareness sometimes feel at odds as they co-mingle. Yet, in the greater sense of your feelings, you are completely at peace with these multiple fabrics inter-weaving into a larger tapestry that seems to extend from the physical outward. Remember that all of the Realities begin inside you, and this is where they are connected: in your Heart space, where your Soul connects you in this physical holographic sea to the sea of complete connectedness with the higher dimensions. So as you find your courage to share increase, and your level of comfort with this connection rise, many gifts will you receive to share with those who feel connected to these energies. My message to you today is to continue to allow this flow, to feel unashamed of your connection with me, and to walk without fear of ridicule by those who may find it hard to understand. You have done the inner work to arrive at this station, and there will be many other stations along your path. If you like, you can begin to think of our sharings together as a travel diary, along the path of your inner discovery. Feel confident in our connection. Trust in its Reality. Share when you feel prompted. And feel safe enough not to disguise yourself in a persona that you feel others will find acceptable. Dress yourself in your true inner colors of Light and Love. The Light will be seen by those eyes which are ready, and passed over by those which are not. Trust in yourself Now. The message that you are seeking to share with others is: trust your Higher Self, your own unique Self-expression. You are not required to change the world or anybody in it, only to express your self as it is NOW in the most authentic, loving way, from the inside out. There is no need for validation or approval from others when you are being your authentic benevolent Self, living and acting from your inner Higher Self, manifesting outward into physical reality. Trust your own Inner Voice above everything external.